In General, besides their attitude towards defensive Combat the Japanese were renowned for both their elaborate defensive fortifications and their tenacity in defense. One area they were clearly lacking though, was the use of mines. But let’s take a closer look at those issues. Now, general instructions usually require a highly trained force, yet in 1944 all of the Axis members had lost most of the their best trained units. Now, in this part, we will take a closer look at defensive positions. Once the command is given to occupy a position and setup defensive preparation the development was usually prioritized the following way: 1) Establishing the important points in the main line of the resistance, 2) Determining and development of the fields of fire and observation posts, 3) Setting up obstacles for the main line of resistance and 4) the development of communication trenches and personnel shelters. (War Department: Handbook on the Japanese Military Forces, 15 September 1944, p. 101-103) Let’s take a closer look at the development of a company position. Now, let’s take a closer look at a platoon position from Burma. As a quick reminder a company usually consists of three platoons, so basically we take a look at a unit one level deeper. As you can see it has a circular pattern. In the rear area there is a larger shelter with sleeping accommodation. The circular endings of the trenches are foxholes, whereas each has a one-man-dugout nearby, which had an earth and timber cover. Furthermore, there was a MG position that was well covered too. The report notes that the dugouts near each foxhole and three-bay machine gun position were the two interesting features. So, let’s take a look at the MG position. So, this is a Japanese Three-Bay Light Machine gun position in Burma from the side. As you can see the roof is constructed with several logs and reinforced with earth. The machine gun would be placed here. Now, why was it called “three-bay”, well let’s look at it from the front. As you can clearly see, the supporting logs divided the firing slit into three areas. And by the way, this is a type 96 Japanese light machine gun and not a British Bren, they look similar, but there is a clear difference between those two, which might not be so obvious. Now, let’s go back to the Platoon position, because there is one problem I have encountered, which I couldn’t find a proper answer too. Basically, the numbers don’t add up. The shown position is according to the description for a platoon. But the problem is that a rifle platoon of an infantry company of an “A” or “B” type division had 3 LMGs and furthermore 62 or 54 men. Now, there is only one position for an LMG, but also the area is quite small for 54 let alone 62 men. Although, the number of foxholes and LMGs would match almost exactly the layout of a rifle section. But I doubt such an error would occur, especially since this layout was reprinted in two different military intelligence publications. Hence, I must assume that the platoon was far below full strength, but still I am confused that this isn’t noted in the report. But of course there is always the chance that I missed something or made an error. If anyone knows more, please let me know in the comments. 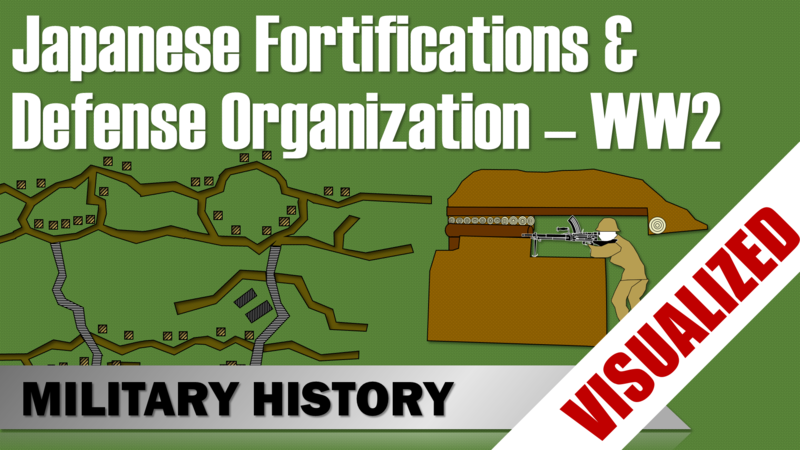 To summarize, although the Japanese had a serious distaste for defensive combat, their ingenuity and improvisation skills allowed them to construct various kinds of excellent field fortifications and defensive systems. 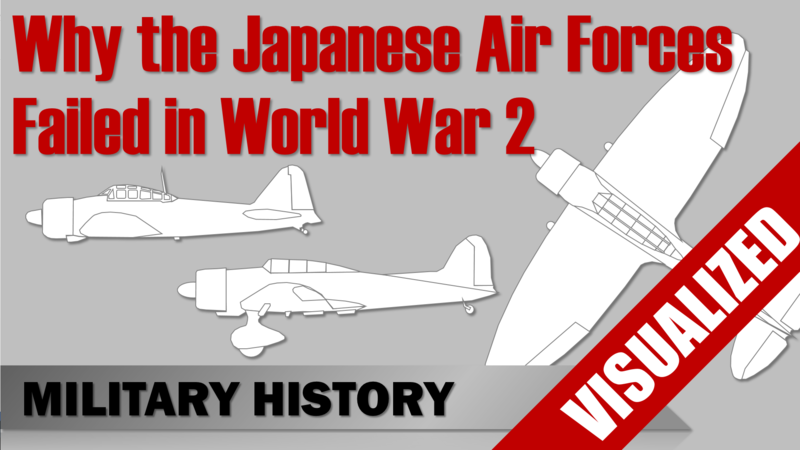 Although their ability to lay sophisticated mine fields was limited for most of the war, the Japanese Army took actions to counter this problem and probably would have reached similar capabilities as other forces. Now, a little public service announcement. I originally wanted to do something about naval tactics in the non-world war era, but since I got a bit sick and thus my mind could only operate at limited capacity, I switched to this easier topic, after all, I am mostly a land-rat from the modern era. So stay tuned, I plan to cover nearly every era of military history, major battle and much much more. Since I get quite a lot of repeating question about what topics I will cover, you might want to check out the frequently asked questions on my homepage.